Over time, I've noticed some trends among our blog commenters. Some readers comment on the content of our posts, others link us to Viagra spam, and finally, some readers talk directly to us. We hear about their own experiences of the topic we've blogged about, or simply about their day. This is good, though I could do with a little less Viagra or AirJordan spam in my life. Sometimes readers inject enough of themselves into their comments that it becomes clear they have opinions about us, the Shrink Rappers, feet, ducks and all. Sometimes it seems like readers are poised to like us, and other times it feels like readers are lying in wait, looking to attack. I was particularly struck by the comments people made on my post about The Texting Shrink. Rachel says I have a kind-heart and another commenter (?--I think it was Retriever) noted that I do this to increase my availability to patients. Dr. Steve put it bluntly: I am idiot! I hope I do have a kind heart, but I text with patients because I've found this to be to my convenience--- it's a quicker way to deal handle brief messages, and none of it's about being more available. My life is better if I get a "stuck in traffic" text and know I have time to run to the restroom or eat a snack. And if a patient needs me to phone a pharmacy or return a call, it's so much quicker to click on the texted number than it is to re-listen to my messages and try to decipher that phone number 6 times by replaying voicemail -- and oh, I don't have a pen and can I memorize it quickly enough?. Am I an idiot? I believe I've thought it through, but I may be. The Texting Shrink was only one example. In our years of blogging, many posts have inspired strong reactions, and I've come to be very careful about my choice of words, especially when discussing medications. Sometimes it feels like no matter how gently I word things, someone is poised to simply say, psychiatry is bad, no one should see a shrink, no one should take psychotropic medications, all shrinks care about is money. Some people think their psychiatrists don't care about them -- and for all I know, they may be right -- others believe their doctors think and care about them a lot, in a way that may not be realistic. Obviously, doctors think and care about their patients (oh, I hope), but docs are people with their own lives and problems. I'm hoping for a happy medium somewhere. Like Dr. Steve says, I may be an idiot. I'll Take That Call Now. “Riiinnnggg! !,” a quite startling sound lifts me off my seat, as if signaling a new secret-agent assignment. Is this a conspiracy? Before I can even respond, she picks up the cell phone and starts talking to this rather shady intruder. I wait about thirty seconds, with what seems like an eternity in the secret agent world, and she is still on the phone with this suspicious invader. At this point, I decide to exit the premises. For some people, answering the phone immediately seems to be a bit of a compulsion. And for someone who's waited a long time to see an over-booked doctor, I can see why they might want to take a call. Maybe it's a call that was prearranged for a time long after the patient thought they'd be free...but the patient was surprised to find the doctor was running late, and so why should they put someone on hold for a doctor who's kept them waiting? Why is it a one-way street? Oh, because it is. In psychotherapy it's a different story: people pay for time by the chunk and there aren't patients backed up waiting to fit into the same time slot. I feel like it's the patient's time, and I don't feel like I should say to an anxious mother, "Don't take that call." Still, I'm always a bit surprised when people feel the need to take non-urgent calls during an appointment, and to talk for a bit. I feel a little uncomfortable listening. And even for those who quickly say, "I'm with the doctor, I'll call you back," I'm not sure what that gains over having the phone off. Does my phone ring during sessions? Yes, because sometimes I forget to turn it off--and if it rings, I reach over and silence it . Do I answer it during a session? Never. Whatever it is waits until the session is over. The only exception I make is if I'm trying to get in touch with another physician regarding the care of the patient I'm seeing during that block of time. I let people talk on the phone or text or deal with their families or clients. No one has done it repeatedly or in a way that notably distracts from therapy. I'm a bit surprised when anyone wants to pay my fee to talk on the phone, or even when anyone runs late, but hey. If I weren't "rented out" in blocks of time, so to speak, I'd be exiting with Dr. Jill-of-all-trades whenever the phone rang. And on a completely different note, I noticed that Jill of All Trades has a link on her sidebar to "Shrink Rapping"....I clicked on it thinking it would be us. But, no....There's another Shrink Rapping doc out there-- Dr. Gregory Smith from Georgia and he's been at it a while. How'd we miss that? What Do You Want To Know About Psychiatry? When you work in any setting, your view of it becomes distorted. Your vision becomes tunneled, and the world looks small. My husband came home one day upset because a client had burst into tears while they were talking. "Why does that bother you?" I asked. Apparently it's not something that happens a few times a day for him. And when I was a medical student on an oncology ward, one of the doctors came in for rounds late---on her to way to work she'd seen a young man get knocked off his bicycle by a automobile. She'd stopped to help, and her first question to the young man was, "Are you a smoker?" She quickly realized that it was not a particularly relevant question in that setting. So do people in the real world have questions about psychiatry? What are they? What a time to ask: just as our book goes for it's final draft. I should have asked before-- What do you want to know? Maybe we're wrong about what we thought people want to know. Maybe we need to write a second book. The good news is that after several requests, the jacket designer has agreed to add a duck. Bless our editor for asking--- no clue how she explained that one. Why do I feel like we've been working on this book forever? Clink will tell you, "because we have." So what questions do you think the general public has about psychiatry? Go for it. In yesterday's paper, Jenny Norberg writes about families in Afghanistan who choose to raise their daughters as boys. Mostly, they do this because it erases the shame the family feels for not having a son, but it also gives the child and the family more freedom (you can't send a daughter to the store for a loaf of bread...do they have loafs of bread in Afghanistan?) and the child gets more educational and occupational options. Read Afghan Boys are Prized, So Girls Live the Part. I'm not a big toy person (I don't think). I didn't stand on line for an iPhone, I don't have a Kindle---I actually read these old paper things called books, and I don't greet strangers with, "Wanna see my apps?" Roy and Clink like toys more than I do. But yesterday I was reading the New York Times magazine online (because my hard copy never came, but thank you to the judge who brought me hers) and I came across this article on the LiveScribe pen. Oh, my: I want one. But for what? It would have been great when I was a student. I was an excellent note taker, but to have been able to re-listen to lectures on specific parts of my notes--that would have been really helpful. Now? I take notes during the initial interview with patients, and sometimes I reference those notes, but I can't say I ever have any desire to replay the whole interview, or that there are times when this would help with clinical care. Face it, cool toy, but I don't really need it. So I started thinking about how a LiveScribe might be useful in psychiatry and this is what I came up with: it could help in psychotherapy supervision. Residents take process notes on sessions, but it would be cool to have them selectively play parts of the session. Oh, why not just record the sessions and play the whole thing? Oh, that would work, too, except that it never works. It's rare that a resident comes in with an audible audio recording of an entire session. Despite all the technology, the residents come with the same little cassette recorders that I used...and never worked...year ago. Just an idea. What do you think? And will Roy get one??? According to the Diagnostic and Statistical Manual — the occupation’s bible of mental disorders — these symptoms include grandiosity, an elevated and expansive mood, racing thoughts and little need for sleep. 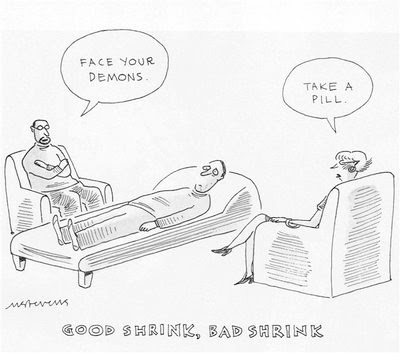 So, what do you give this guy — a big check or the phone number of a really good shrink? If he is Seth Priebatsch and you are Highland Capital Partners, a venture capital firm in Lexington, Mass., the answer is a big check. But this thought exercise hints at a truth: a thin line separates the temperament of a promising entrepreneur from a person who could use, as they say in psychiatry, a little help. Academics and hiring consultants say that many successful entrepreneurs have qualities and quirks that, if poured into their psyches in greater ratios, would qualify as full-on mental illness. There are people who are bright, exuberant, fast-thinking, productive, and filled with energy and ideas. It's a question we've been asking for a while: is this a temperament or a disorder? I would contend that no one goes to a psychiatrist saying "Hey, I accomplish too much, I'm happy and have a lot of energy." People come to psychiatrists because they are suffering, or because they've moved far enough from reality that others are alarmed. We can joke an call it 'hypo-mania' but it's where we'd all like to be. Having said that, it feels like Segal writes this from the perspective that his subject is certainly not ill. Psychiatric diagnoses are made over time and it seems perhaps irresponsible to use high-energy, successful people as examples of those who might be teetering on some genius--insanity tightrope. The answer ---if there is one-- lies in the course of a lifetime. If the same highly productive, sleep-defying entrepreneurs later become depressed, despondent, and unable to crawl out from under the covers, then it would certainly make sense to consider periods where he went 96-hours without sleep as part of the whole picture. If such a person never becomes depressed, well....they make lots of money, stay far away from shrinks, and oh, can I have a little of that energy? In psychiatry, we've had a hard time drawing precise links between brain pathology and psychiatric disorders. We can do it for groups of people: Disease X is associated with changes in brain structure of Brain Area Y or metabolic changes in Brain Area Z. But it's groups, not individuals, and it's an association, not a cause>effect, or a definite. We still can't use this information for diagnosis, and there are still patients with any given psychiatric diagnoses who will have brains where Area Y is the same size as those without the disorder. From what I read in this New York Times article, Owen Thomas was a bright, talented young man with no history of psychiatric disorder, and no history of known concussion. In April, he committed suicide-- a tragedy beyond words. Sometime people commit suicide and every one is left to wonder: there was no depression, no obvious precipitant, no note left behind, and every one is left to wonder why. The guilt toll on the survivors is enormous, as is the grief for their families and communities. In this case, according to the Philadelphia Inquirer, the young man was apparently struggling with the stress of difficult school work and concerns about his team and employment. Owen's family donated his brain to Boston University's Center for the Study of Traumatic Encephalopathy. They discovered that Owen's brain showed damage similar to that seen in older NFL players who've-- he had a condition called Chronic Traumatic Encephalopathy. In terms of Owen's suicide, it's hard to know what this means: did the brain injury contribute to or cause a psychiatric disorder, such as depression, that led to his suicide? 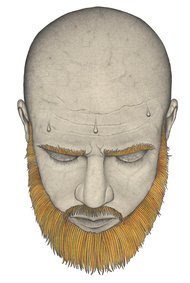 Did it make him more impulsive, so that he was more likely to act on suicidal thoughts? It's hard to say: suicide is a common cause of death among young people who die. This is the first documented case of chronic traumatic encephalopathy in a college football player. It's not, however, the first suicide of a college football player. The only way to know if encephalopathy causes depression which causes suicide, is to keep studying it. It's horrible to lose a child, and I applaud this young man's parents for contributing his brain to a research project, and for making his situation public. Millions of young people play football each year: maybe we need to be doing more to protect their brains, though that will not be popular statement among die-hard football fans (some of whom are my relatives). When it comes to sports and driving, we tend to minimize the risks. On the other hand, it's hard to live life with the shutters drawn. If you're an athlete, help the cause and donate your brain here. I participated long-distance in a social media workshop for the 2010 MedInfo conference (#medinfo2010) in Cape Town earlier this week. Kate Anthony and DeeAnna Nagel from the Online Therapy Institute were also participants, and the provided and excellent discussion of professional ethics, dual relationships, and good therapeutic behaviors as they relate to online interactions with patients and prior patients. Jane is your client. Both of you live and work in the same community. Jane is the director of a local charity. She sends you an invitation to be one of her contacts on LinkedIn. John is a current client who has begun following you on twitter. He has send you a direct message and has also sent you an @reply to one of your tweets. He recently posted a tweet stating what a great therapist you are with a link to your website. Mary has been your client for over a year. She has a history of childhood abuse and you have encouraged her to write in a journal. You receive an email from her asking to change times for her next appointment. She closed her email with “By the way, the journal writing has been so helpful, I have decided to start a blog. Here’s the link! www.maryrevealsinherblog.com. 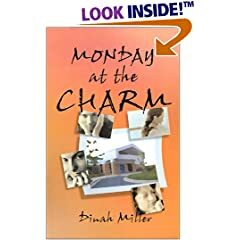 You open the link to discover that her first blog entry contains emotionally charged and highly graphic information about past childhood sexual abuse she has not previously revealed in therapy. Kim was your client for over a year. You have not heard from her in at least that long. She was often hostile during sessions and would call between sessions feigning crisis and then apologise for her behavior during the previous session. The reason for termination was due to her move out of the area. Today you do an internet search for your name and you see that Kim has created a website, www.bewareofbadtherapy.com. Your name is on the website’s blacklist with links to excerpts of verbatim chat transcripts from sessions you held with Kim online. To listen to their responses to these scenarios, watch the video at http://www.onlinetherapyinstitute.com/ethical-implications-for-therapists/ (the weird sound effects at the beginning last about 20 seconds or so... just wait for them to stop, it's worth it... and you get to hear input from their Second Life cat, Reva). It would be great to hear your experiences with this issue in the comments, whether as a patient or as a therapist. This past weekend, in "The Heat of the Night," Lisa Sanders, MD wrote one of those mystery medical cases in the New York Times Magazine. She walked through the puzzling presentation of a man with fever and a liver mass. His physician friend was worried. Schumann was worried, too. He lived nearly a thousand miles away — too far to come and see his friend. Besides, the patient was posting all his test results for his friends and family, so Schumann was following the case from a distance, and he still had no idea what was going on. If he was the second opinion, then the patient clearly needed a third. Suddenly Schumann had an idea. What if they opened the mystery of his symptoms to other doctors? What if they put his case on the Internet — on a blog read mostly by doctors — and let some new eyes and brains work on this problem? The patient was excited by the idea. That afternoon Schumann put the case on a blog (glasshospital.com) he was writing and contacted Kevin Pho, who has a popular medical blog (www.kevinmd.com), who then posted it, too. Within hours, a dozen comments were posted in response. Several pointed to a series of reports similar to this very case: patients with large hemangiomas and persistent nightly fevers. In several cases, simply removing the tumor stopped the fevers. So like, how cool is that? Roy came to a cookout at my house this weekend. He came late, and probably only because I sent him a text message at noon that said, "Remember, you're coming to dinner at my house tonight." So here comes Roy, and as I'm schmoozing with guests, he tells me he's brought the makings for mango margaritas and where is my blender? By the sink. He goes inside. He comes back outside-- can't find the blender. I go inside and point to the blender next to the sink. He never noticed that sink. Will it chop ice? Will it chop anything? It's not a very good blender. He fills it with mango stuff and I start smashing ice with a crab mallet. The blender goes grrrr and nothing happens. I dump everything into the food processor and go back outside. The food processor is leaking. Roy has come to find me. Are food processors supposed to handle liquids without leaking? I make gazpacho in it, but it leaks and I do it near the sink, pour fast, and wipe up the spillage. So it's no surprise at all to me that the food processor is leaking mango margaritas. But wait, Roy says, we have to find the source of the leak. What? Why? Who cares where the source of the leak is? In a million years, it wouldn't occur to me to ask this. I pour the mush into a pitcher. Oh, only it's not mushed enough. Roy wants me to regrind half. I toss the whole thing back in and push the button. Orange junk explodes everywhere. The whole episode feels exactly like writing a book with Roy. I just want to get it done, and he's dealing with the details of the second sentence when there are chapters to go before we sleep. Who the hell cares if there is a comma there? Or orange goo on the counter. Can we leave the alcohol out of some of the mix so the kids can have some? That, I'm told, will mess up the proportions. Proportions? I cook and bake by adding "some"....Roy reminds me of my mother who seemed to think I should measure, or be able to tell her how she could make the muffins I'd made. Measure? Proofread? Proportions? A cocktail needs proportions? Look, no one has ever left one of my cocktails unhappy. You add cranberry juice until the color is right: voila, Cosmo! Roy will want me to figure out how to get blogger to add the accent squeal over the 'a' in voila. Okay, so Roy's mango margaritas were a hit. Very good. A little later in the evening, I looked down at myself and realized my black shirt was splattered with large orange flecks all over it, but hey. And in his honor, we threw out the blender. So I haven't quite figured it out: Roy is meticulous and a bit obsessive and very detail-oriented, except when he isn't. The time before when he made the drinks, he texted me asking if he could borrow triple sec...when I was out, he actually made them without it-- a recipe made with one ingredient missing! (--years of psychoanalysis, I'm sure) And the meeting he was supposed to be at this morning at 9 am? Let's just say he texted back, "Yikes!" Please, God, don't let Roy write a post about me. Peel and pit the mangoes and cut them into large chunks. Place the mango in a blender with the water, sugar, and a pinch of salt. Blend until smooth. Taste and add more sugar, if necessary. 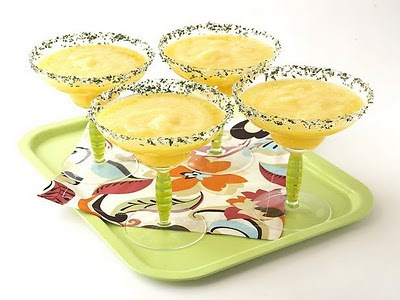 Fill the blender with ice and add the Mango Margarita Mix, tequila, and triple sec. Blend until smooth. 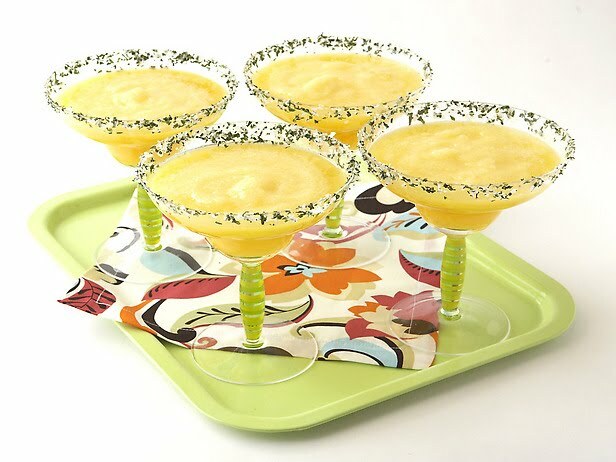 Rub the rim of a margarita glass with a lime wedge and dip into Mint Salt to coat rim. Fill glass and enjoy! Thanks to Dr. T for bringing this to my attention. So, Like What's a Friend? I just went to add someone to my Facebook list. It's someone I've spoken to once on a professional topic, but hey, it was a nice conversation, and information about this person came through my Facebook newsfeed, and if I can have all these friends from my past lives, why not? If you send a request to a stranger, it will be considered spam and your friend request will be blocked temporarily. Please only send this request if you know Zelda. I was about to press the button but I thought, Do I know Zelda? How well do I have to know someone to qualify? I've never actually met Zelda--oh, actually I did pass her on the street in New Orleans during APA, but I was in a rush so I didn't stop and introduce myself and say "Zelda, it's me, Dinah, can I know you now?" I decided that one phone conversation was enough, and that I know Zelda. Maybe she'll agree, but if she doesn't that's fine. I just hate being threatened with a "spam" designation. I'm many things, but Spam I'm not. Here at Shrink Rap, we get a pretty steady flow of email from book publicists, publishers, and other media sources looking to get some attention for their books, blogs, TV programs, conferences, and causes. 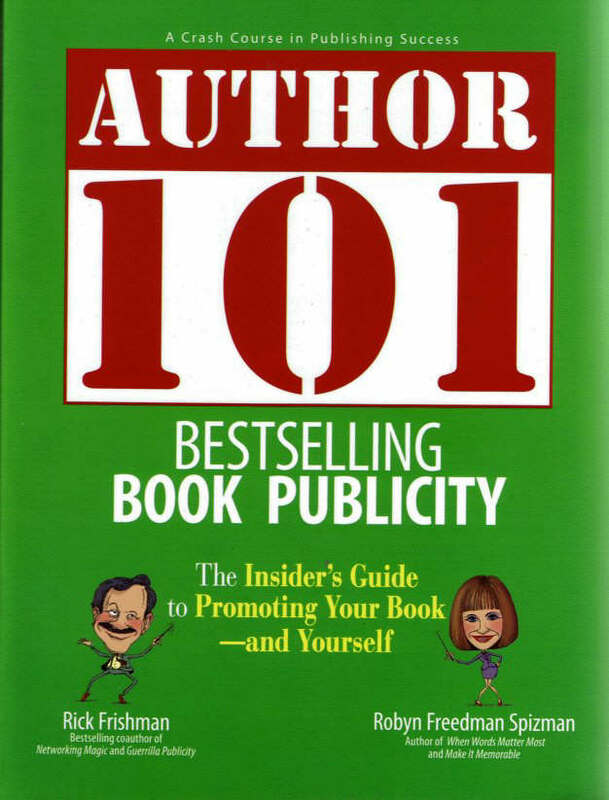 Suddenly, we're faced with questions from our own publisher about where our book should be promoted, do we have any personal media contacts, where should review copies go? Clink and Roy did their forms, and I've obsessed. If you've hit us up for publicity and your name had CBS, or Simon & Schuster, or some major publication anywhere near your name, you made it to my list. Clink, bless her, listed the name of a forensic psychiatry journal and moved on. I'm thinking Slate, Psychology Today (Roy put that on his list, too), Huffington Post.... so now that I've spent the morning looking up contact information for the alumni magazines at Clink's college and med school (and mine, and Roy's), I thought I'd do what I always do when I want to make sure I didn't miss anything obvious: ask you. 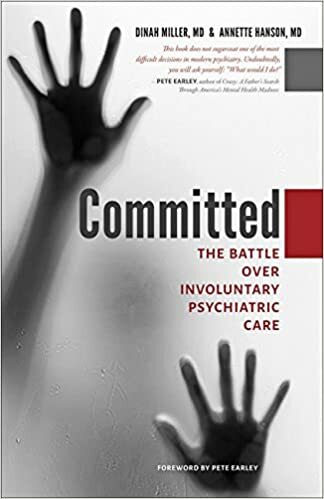 Three psychiatrists give a candid and understandable insiders' view of the modern practice of psychiatry. So where do you think we should suggest the publisher should market our book? And if you happen to be the book editor for the LA Times, would you please send us your contact info? This has gotta be the weirdest book writing process ever.